*This is the first in a series of posts written by Guidestone’s AmeriCorps OSM/VISTA member Gunnar Paulsen about Guidestone’s Colorado Land Link events forthcoming in March – the 2ndAnnual Land Link Forum and Certified Farm Succession Training. Stay tuned to learn more about Farm Succession, Conservation Tools for Farm Succession Planning, and a Colorado Land Link success story. I recently had a chance to speak with Leland Swenson, keynote speaker for Guidestone’s 2nd Annual Land Link Forum, and ask him a few questions about the role of Land Link programs in the farmland access puzzle in Colorado and across the country. A lifelong agricultural advocate, Leland has held positions including Executive Vice President of Rocky Mountain Farmers Union, President of the National Farmers Union, and is currently the State Executive Director of the Colorado Farm Service Agency. In addition to that impressive list of leadership positions, Leland has held tenure on the California FarmLink board of directors. 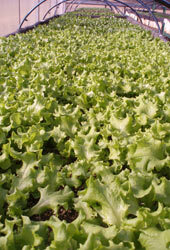 Established in 1999, California FarmLink is one of the most accomplished Land Link programs in the country, assisting with upwards of “125 successful leases, partnerships, and other arrangements tailored to the needs of the landowners and growers.” Leland said of his time there that “we were the only program out there helping with younger producers” and that “California FarmLink became “the program that gained the support of the banking interests and the Farm Service Agency and all its programs.” California FarmLink now holds direct lender status from the Department of Corporations, and provided 23 direct loans between $5,000 and $25,000 to small-scale farmers. 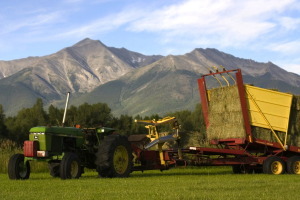 When asked about the Colorado Farm Service Agency’s role in assisting with farm transfer issues, Leland highlighted that there are offices across the state where “producers can go close to home to get advice and services they need from real people – from people who live in those communities.” These services include farm loans, commodity programs, and conservations. For a list of county offices, click here; and for a detailed list of CO FSA programs click here. I asked Leland for his perspective on the role of Land Link considering the statistic widely publicized by the University of Vermont’s FarmLASTS Project that 70% of farmland, or approximately 400 million acres, is set to change hands within the next 15 years: “Its exciting to see the Colorado Land Link Program continue to grow and make connections with CSU Extension, and this growth comes at a very important time when the age of farmers continues to climb.” Leland emphasized how Land Link supports the core of rural communities, farmers, by helping them find access to land and technical resources that will help them succeed. “It really is an exciting time,” said Leland, citing national trends to support the next generation, including USDA Secretary of Agriculture Tom Vilsack’s creation of the Advisory Committee on Beginning Farmers and Ranchers, increased access to community banks, and rural development assistance for agriculture. If you’d like to hear more from Leland, the 2nd Annual Land Link Forum presents a few opportunities: join us for the whole event and hear Leland’s keynote address “Preserving Colorado Agriculture” on Friday over dinner, then on Saturday join the breakout session Leland will be leading, “Financing Opportunities for New and Existing Farmers and Ranchers.” If you aren’t able to join us for the entire Forum, there are also registration options for either Friday or Saturday. To learn more about the event and to register, please click here. Guidestone is organizing this forum on Land Link to explore the initiative as an important tool to preserve Colorado’s vital agricultural resources by linking next generation producers with retiring farmers, ranchers and landowners and providing educational resources and training opportunities. The Friday evening Keynote Address by John Salazar, Colorado Commissioner of Agriculture. Saturday morning, Guest Speaker, John Baker, Farm Transition Specialist of the National Farming Transition Network will share his experience and expertise in assisting with the development of other landlink programs in the U.S. Hosted by Land Trust of the Upper Arkansas (LTUA) and presented by Andrew Mackie, Executive Director and invited guest speakers. In this workshop we will discuss how conservation easements work and the legal requirements for entering into such an agreement. We will also discuss the benefits available to landowners from the Colorado State Tax Credit to the Federal Deduction. In addition, we will go over the steps of setting up a conservation easement and the required due diligence procedures. The workshop is recommended for any landowner that is interested in learning more about protecting their land and any other individual that wants to know more about this major conservation tool. For additional information call the Land Trust of the Upper Arkansas at 719-539-7700. Join us for a Colorado local foods dinner with a Keynote Address by John Salazar, Colorado Commissioner of Agriculture. A Sixth-generation farmer and rancher, Salazar served three terms represnting Colorado’s 3rd Congressional District and was a member of the House Agriculture Committee. Before his time in Congress, Salazar served in the Colorado General Assembly for two years. The evening will also include local entertainment and a silent auction to benefit Guidestone. 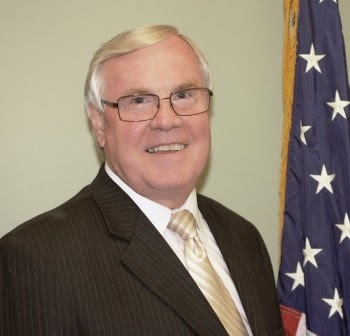 Guest Speaker, John Baker of the National Farming Transition Network will share his experience and expertise in assisting with the development of other landlink programs in the U.S. He will address strategies for a successful Colorado initiative and the lessons learned through other landlink efforts. 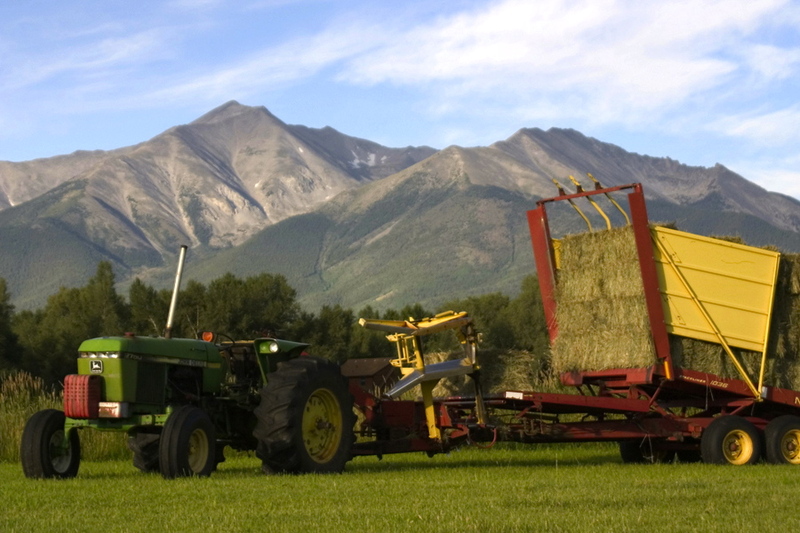 Representatives from Guidestone, Rocky Mountain Farmers Union, and Colorado State University Extension will discuss current efforts in their partnership to develop a statewide Land Link initiative and provide a framework for the afternoon strategic planning sessions. Participants will engage in a facilitated discussion that will examine the goals and desired outcomes of a statewide land link intiative, take inventory of current programs, initiatives, and resources, and identify the resources needed and collaboration opportunities for an effective statewide or regional program. Meals: Forum Registration includes dinner on Friday night, breakfast on Saturday, and lunch on Saturday. If you have dietary restrictions, please make note in your registration form. Lodging: Participants are encouraged to stay on site at Mt. Princeton Hot Springs Resort. Guidestone has a number of rooms being held with a group rate ($99 for hotel room, $50 pp for shared cabin) for forum attendees. Please contact Mt. Princeton Resort directly to book your room and let them know this is for the Guidestone event. To Register, click HERE ! There is an interesting conversation that is currently taking place across many sectors of society, discussing the differences between sustainability and resilience, and the necessity of both to ensure communities thrive within unpredictably changing environmental conditions. Resilience implies the short-term ability to respond effectively to dynamic, unforeseen, potentially catastrophic situations. Sustainability on the other hand addresses the causes of these potentially unforeseen situations and works toward solutions. For example, from an Ecology perspective, resilience would be the ability to assist a prey animal species to adapt and rebound from overhunting by an overpopulation of it’s primary predator. Sustainability in this same scenario would focus on the factors that led to overpopulation of that predator and work towards ecological balance in this predator-prey dynamic. When applied to the idea of food systems, resilience refers to the ability to manage different parts of the food supply chain during a limited-time event (i.e. major storm) while sustainability addresses the larger-scale needs of ensuring a local food system that can cope with changing environmental conditions. For an informative article recently published in the New York Times, post-hurricane Sandy, in regards to the paring of these ideas, click here. For a more in-depth look at sustainability and resilience in food systems, click here to read an article on the University of Vermont’s Food Feed blog. Within Guidestone, sustainability and resilience are two sides of the coin that Land Link is working to address in regards to land access and local food production. Resilience comes by helping bolster the local food economy on many levels. 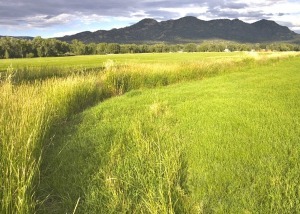 The Central Colorado Land Link Initiative (CCLLI) increases opportunities in farming and ranching by connecting retiring farmers, ranchers and landowners with next generation farmers and helping to create equitable, secure, and affordable access to agricultural land through various management and lease agreement structures. Guidestone’s sustainability comes through it’s demonstrated commitment to organizational strength through building the capacity of our staff and volunteers, developing a diverse funding strategy, and establishing strategic partnerships. In regards to the CCLLI, this includes the Rocky Mountain Farmers Union, Land Trust of the Upper Arkansas and CSU Extension. We have had an incredible outpouring of interest on our Land Link database with over 100+ registered users from across the country, over 40 of which have also submitted farmer applications and are inspired and enthusiastic to begin new or move existing agricultural operations to the Arkansas Valley region and throughout Colorado. There is a high demand for land opportunities to accompany this burgeoning group of aspiring farmers! Please contact andrea@guidestonecolorado.org to learn more about the Land Link program and how you could get involved or visit www.guidestonecolorado.org/Land-Link to submit a land listing. Land Link Forum – Save the Date! Please join Guidestone in this forum on land link, local foods and agriculture. The 2-day event will include a keynote speaker, presentations, discussion and networking opportunities, delicious meals highlighting local foods of our area and a Friday evening social event, all held at the beautiful Mt. Princeton Hot Springs Resort. More details to come! USDA Risk Management Agency (RMA) has introduced a new website – Rural Tax Education – that provides farmers and ranchers, other agricultural producers and Extension educators with a source for agriculturally related income and self-employment tax information. Tax issues are important for agricultural operations because income and self-employment taxes are a major cost, and also because more and more USDA programs are being linked to a producer’s federal income tax return. Also on the website is a Tax Guide For Owners and Operators of Small and Medium Size Farms, produced by Land Grant University Tax Education Foundation, INC. through a grant from the USDA Risk Management Agency. Check out their website at http://www.ruraltax.org/for a FREE resource.